This years 7th annual Tweetup at ASN Kidney Week in Chicago will be held at Benny's Chop House on Friday night from 7:30 to 10pm. We would love to see everyone show up. The night will include The Year in Nephrology Social Media Review by Joel Topf, NSMC Internship Graduation, and the handing out of the inaugural NephJC Kidney Awards. 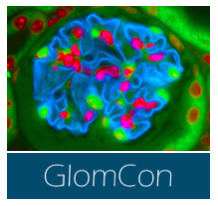 The last day to vote for the NephJC Kidneys is THIS Sunday so get it in. Link is below. 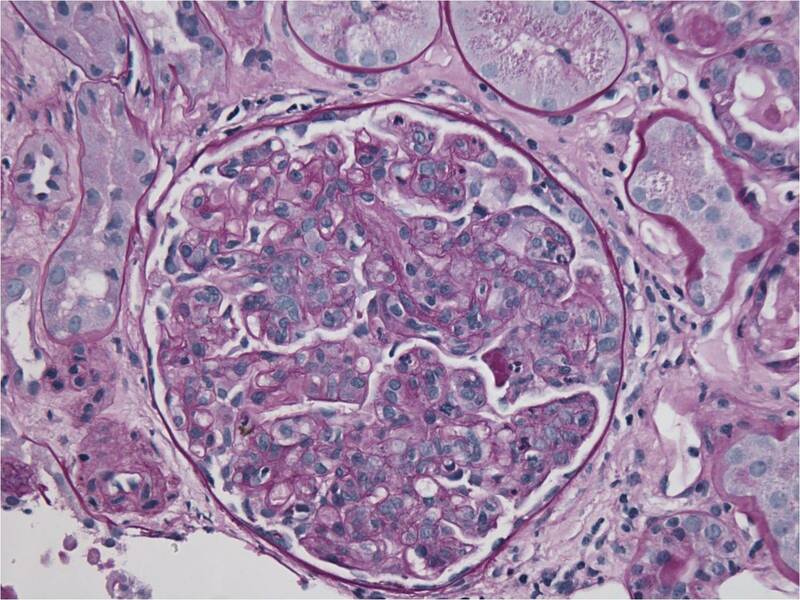 The #NephJCKidneys: What's up with that? NephJC is gearing up for Kidney Week in Chicago. 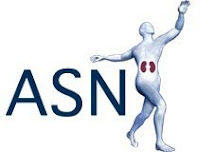 NephJC is also sponsoring the inaugural NephJC Kidneys. You thought the Grammys or Emmys were big? Well, wait until you see the Kidneys hosted by none other than Kidney Boy! This is a a way to say thanks to so many of you who use social media as a means to learn and share information. 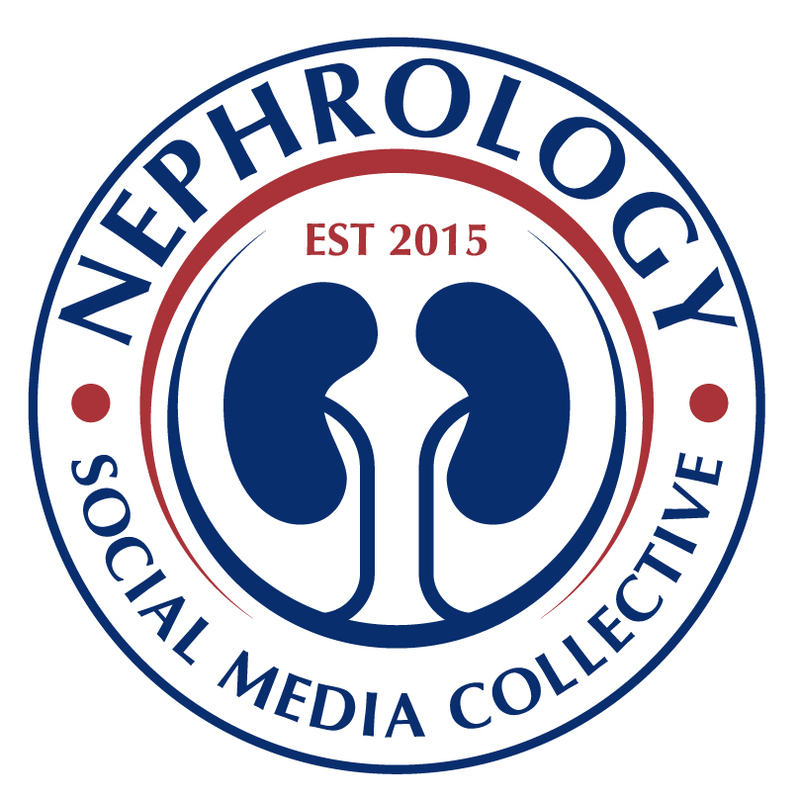 Renal Fellow Network (RFN) was one of the first blogs to really show the power of social media in educating so many. The founder of RFN was Nate Hellman and as such the Social Media Initiative of the Year Award is named in his honor. What Nate did in founding RFN is quite remarkable. This was before Twitter and right when Facebook was taking off. Nate put down the foundation for what is now a vibrant international community. I know if he were still with us he would be the one running NephJC or NephMadness or who knows what he would have created. We wanted to reward as many individuals as possible but we know that many others are just as deserving. Winners will be announced at the annual TweetUp on Friday Night at Benny's Chophouse. The first 3 categories are voted on my members of the NephJC work group while the last 2 are public voting. Google login required to prevent multiple votes. 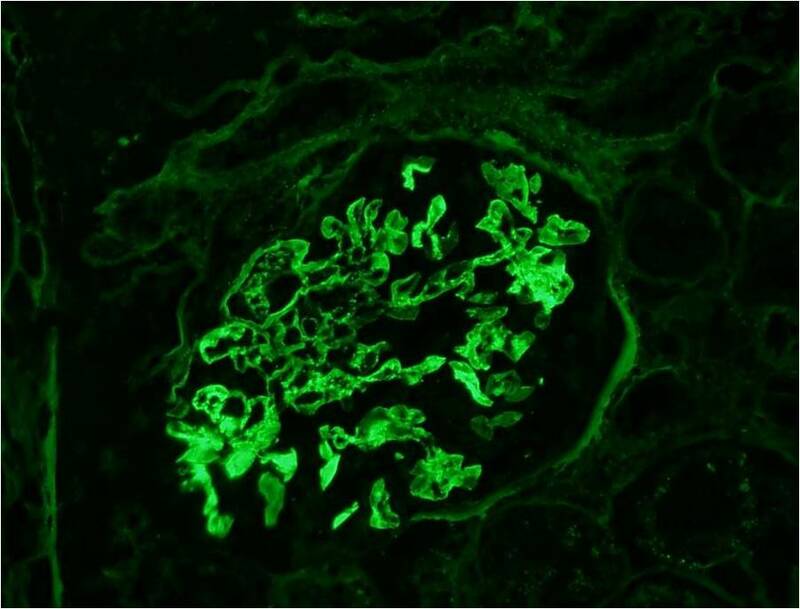 The infiltrating cells in the glomerular capillaries are predominantly mononuclear cells with isolated neutriphils. 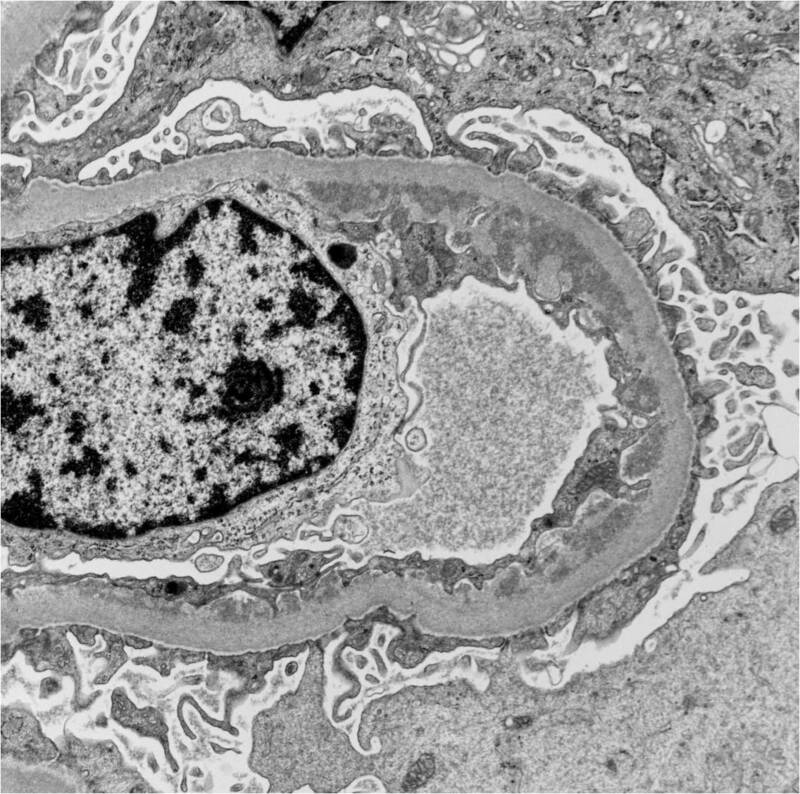 Scattered deposits of IgG are noted along the peripheral capillary walls and in the mesangium. 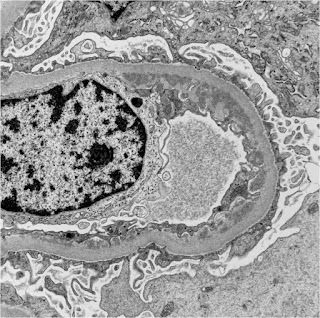 EM shows large and confluent subendothelial electron dense deposits. 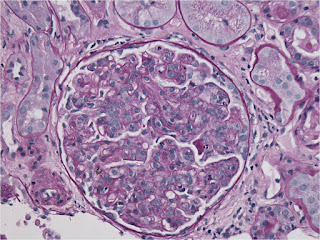 Diagnosis: Diffuse proliferative glomerulonephritis, most likely post-infectioius and related to the patient's sepsis. This case appeared to be a relatively straight-forward case of AIN based on the exposure to a common culprit medication, the presence of eosinophilia and urinary white cell casts and the time course following admission. The presence of dysmorphic red cells was atypical although this is observer-dependent and there were no red cell cats which, while specific, are not very sensitive for the diagnosis of an acute GN. Traditional treatment comprising withdrawal of the offending medication and potential exposure to steroids may have been detrminetal in his case leading to inadequate treatment of his MSSA bacteremia. The classic constellation of clinical signs in AIN is present in a minority of cases. For example, rash is present in ~15%, fever in 27%, eosinophilia in 23% and the triad in only ~10% of patients. 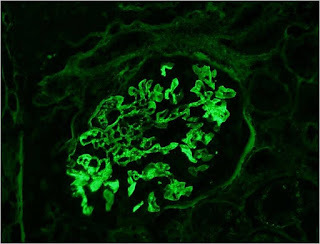 White blood cell casts are sensitive but are a non-specific marker of intra-renal inflammation and are associated with a wide differential diagnosis. 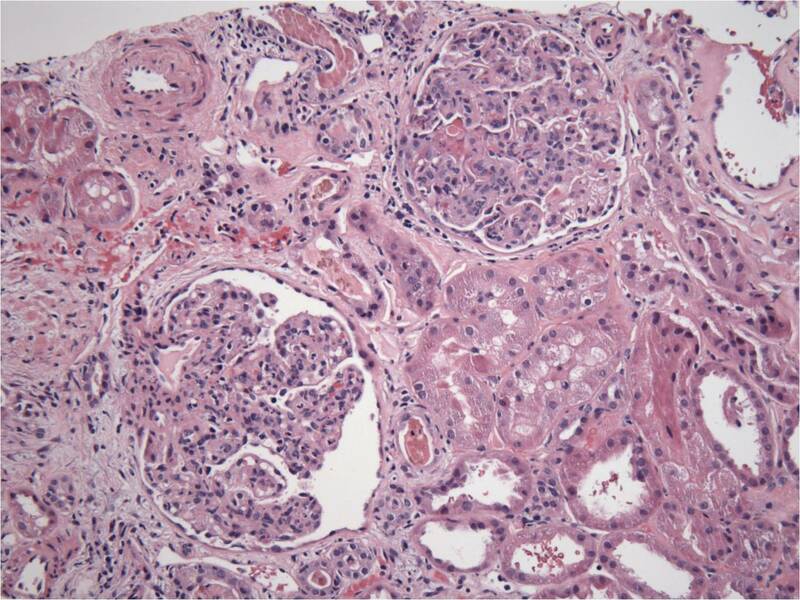 Urinary eosinophils are neither sensitive or specific and should not be used to make the diagnosis of AIN. 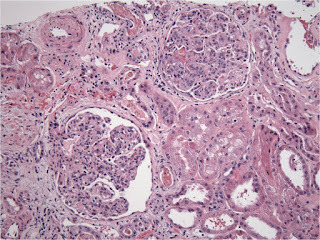 This case highlights the difficulty in making a clinical diagnosis of acute interstitial nephritis and the importance of a renal biopsy to confirm the clinical suspicion.